SCREENS OF INFLUENCE: Arab Satellite Television & Social Development – case studies in poverty, literacy and violence in underprivileged Saudi women. This significant book sets out a remarkable and brave piece of research into how Arab satellite television has been used in an attempt to support development goals – particularly in relation to women experiencing poverty, violence and a lack of education. The author spent months living in a remote, poor, rural community in Saudi Arabia to better understand television viewing habits and crucially to witness the social issues faced by the women and girls she met. She usefully presents these case studies in the context of Arab and Saudi identity; the story of satellite television in the Arab world; and with an insight into the meaning of “development” in the wider area. This book is a must for anyone wanting to understand an Arab media landscape or working in development in the region. Screens of Influence is also available in print although we do not hold stock. When ordering the printed book please allow extra time for delivery as orders are fulfilled by our print-on-demand printers. All prices include P&P. Click the appropriate link below to order. 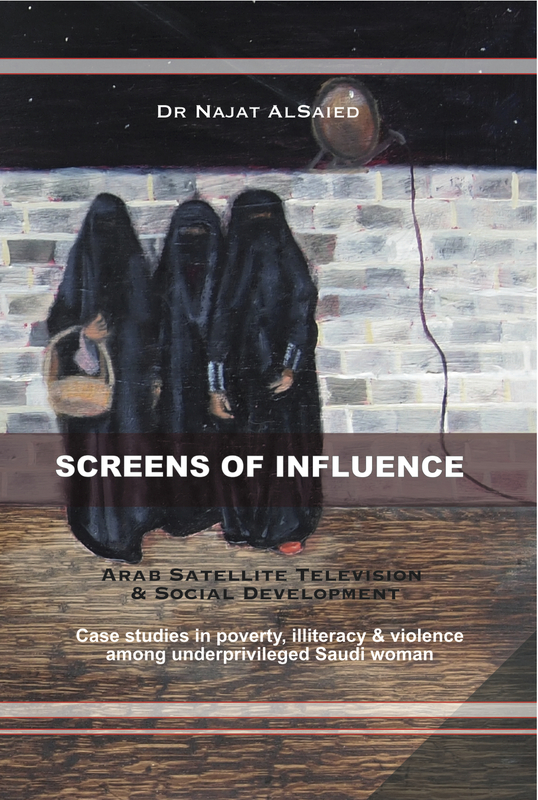 TITLE: Screens of Influence: Arab Satellite Television & Social Development – case studies in poverty, literacy and violence in underprivileged Saudi women.